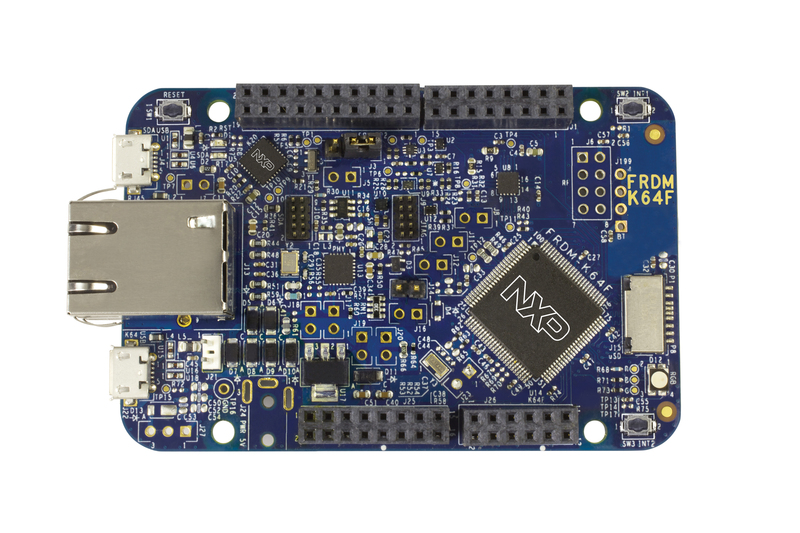 The FRDM-K64F includes the NXP OpenSDA serial and debug adapter built into the board to provide debugging, flash programming, and serial communication over USB. To use the pyOCD tools with OpenSDA, follow the instructions in the pyOCD page using the DAPLink FRDM-K64F Firmware. The pyOCD tools are the default for this board, therefore it is not necessary to set OPENSDA_FW=daplink explicitly when using the default flash and debug mechanisms. With these mechanisms, applications for the frdm_k64f board configuration can be built and flashed in the usual way (see Build an Application and Run an Application for more details).